September 17, 2013 - Glendale Heights, Illinois - UFP Technologies, Inc., a producer of custom-engineered components, products, and specialty packaging, has expanded its Glendale Heights, Illinois manufacturing operations to meet the increased demand by medical device manufacturers. Since attaining ISO 13485:2003 certification in Glendale Heights in 2011, UFP Technologies has made significant investments within this facility to better service its customers in the medical industry. An ISO Class 8 (Class 100,000) clean room was constructed which qualifies the facility to produce up to Class III medical devices. 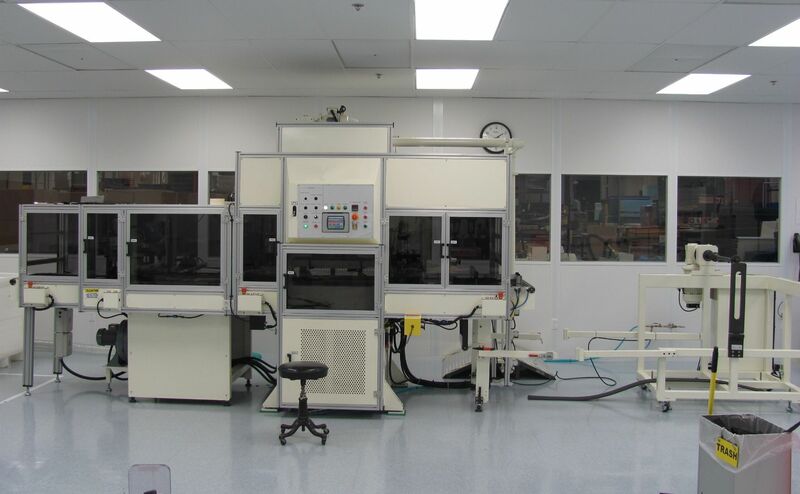 New production machinery was installed within the clean room to manufacture custom components, products, and packaging from medical-grade foams and thermoplastic polyurethanes (TPU). The new capabilities, which include RF welding, high speed die cutting, and heat sealing, increase UFP Technologies’ manufacturing output by multiple-millions of parts per week. The recent addition of advanced processing capabilities at Glendale Heights builds upon UFP Technologies’ strong presence as a valued manufacturing partner to medical device OEMs. Seven of its eleven manufacturing facilities are ISO 13485:2003 certified which house multiple ISO Class 8 (Class 100,000) and ISO Class 7 (Class 10,000) clean room facilities.